Traditionally, “Fat Tuesday” is the celebration before Christian believers started their forty-day penitential preparation known as lent. 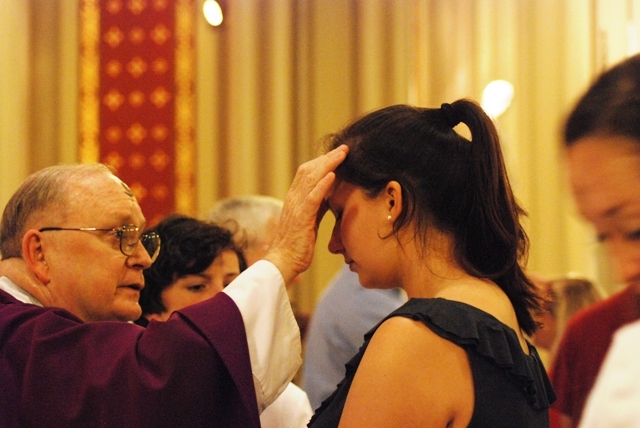 The Lenten season is considered as the holiest time in the Catholic Church. On Ash Wednesday Christians begin the lenten season with different resolutions such as fasting, praying, caring more for one another, giving, and most importantly examining their relationships with god. Jesuit priest Peter Rogers said the church has no official view on “Fat Tuesday,” but for him this day is a time to rejoice and express the good and bad within our society. Kurt Bindewald the director of University Ministry at Loyola University New Orleans said “Fat Tuesday” should be a thanksgiving time. “More important than that is that we…uh be kind to one and other. That we bite our tongues, and that be unpleasant. That we truly be people, individuals, individuals who love one another,” said Rev. Rogers. During the forty-day of penitence, the church usually asks believers to repent and turn their faces to God, and to get ready to celebrate the resurrection of Jesus-Christ.